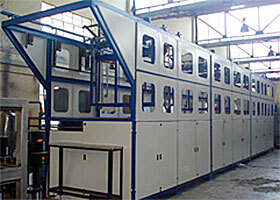 Multi-Chamber, Multi-Stage (MCMS) systems are machines that contain multiple individual process chambers and multiple individual process stages. Parts are transported either manually, semi-automatically or automatically from chamber to chamber. 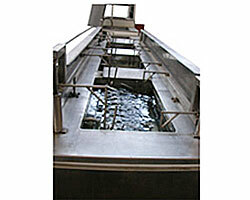 Systems can be smaller, such as multi-tank console units or larger such as open or enclosed combination of individual tanks that function as one. Products listed here are those that transport parts automatically or semi-automatically. 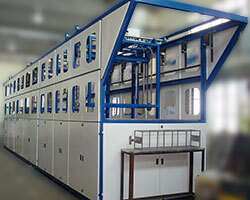 These systems are often installed as central cleaning manufacturing operations. 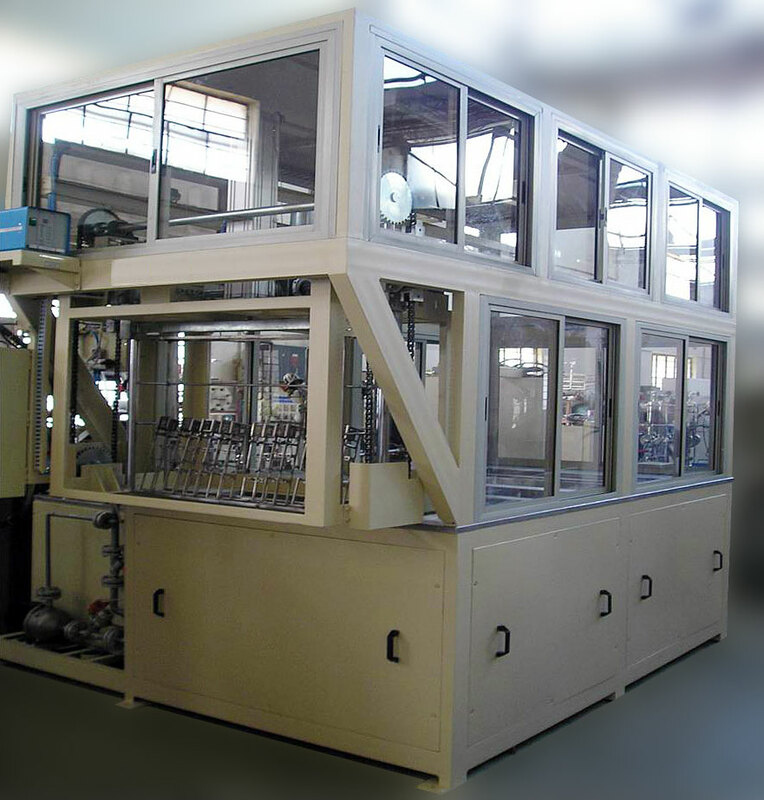 However, as fully automated systems, they are also ideally suited to in-line operations for continuously moving product. MCMS systems can be single head or multiple head transfers. 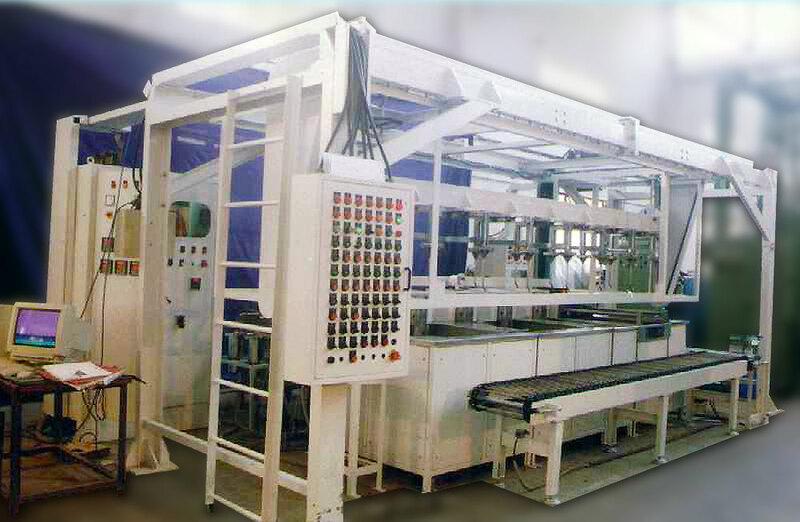 The type of material handling systems is determined by several factors including process and production rate requirements evaluated during the process development stage between the user and W3. 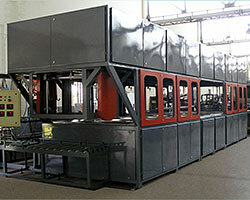 W3 provides the widest array of material handling transport methods for parts, baskets, carriers, etc. While batch transfers are generally handled by MCMS systems, In-line conveyor and Surround tunnel systems can handle continuous product flow. 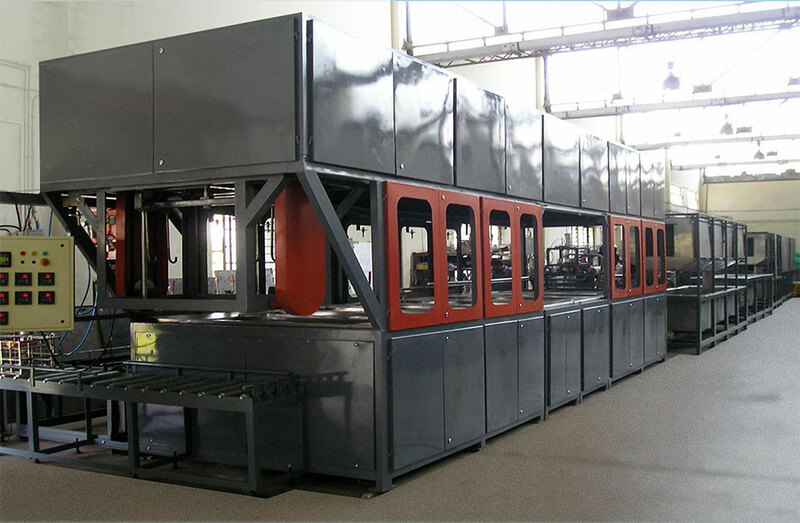 If minimal handling of parts and cellular manufacturing is your choice, then SCMS systems, which are single load/unload station systems with all process stages taking place within one chamber, may be better for your operation. 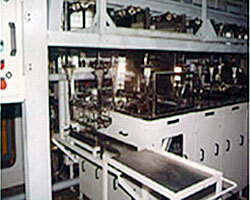 SCMS systems are ideally suited to cellular manufacturing operations. 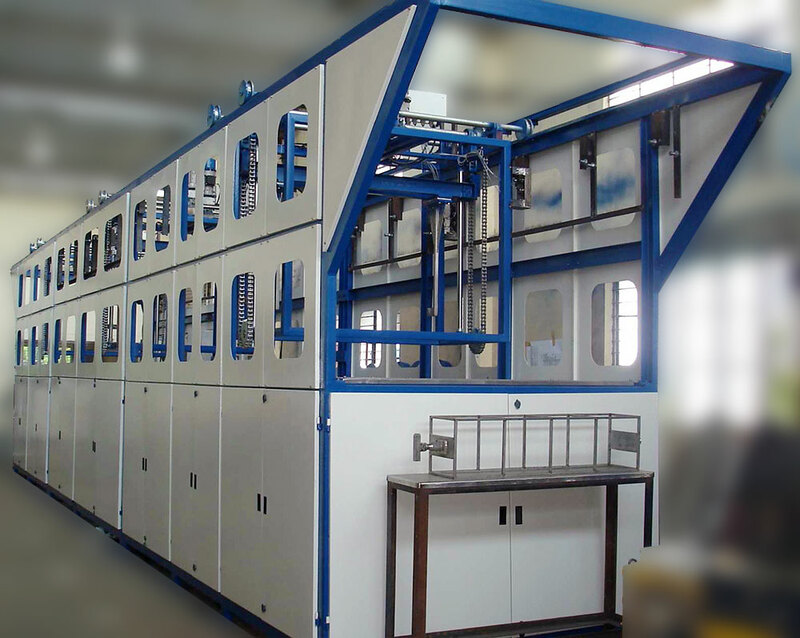 Full enclosures, view panel enclosures or fencing are typical with larger MCMS systems but not required and not always the best choice. That depends on your needs and your plant operations. 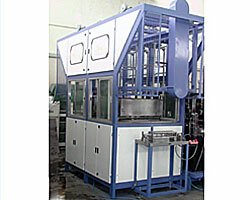 W3 can evaluate your needs with you and build the type and size system best suited to your manufacturing environment.